FTR will give its new Moto3 machine its first serious track test with Spanish sensation Maverick Vinales at the Almeria circuit on Wednesday (November 23). The M311 chassis will be tested with Honda’s new NSF250R four-stroke engine as the Spanish-based BQR continues its preparations for the inaugural Moto3 series. The deal with BQR is a major coup for Buckingham-based FTR as it means they will tie-up with rising teenage Spanish star Vinales, who won four races in an impressive 125GP campaign in 2011. FTR is also collaborating with BQR on its Kawasaki ZX-10R-powered MotoGP project and boss Steve Bones told MCN: “The bike will roll out in Almeria and we are testing with Maverick Vinales, so we clearly have the best rider. We are really pleased about that. 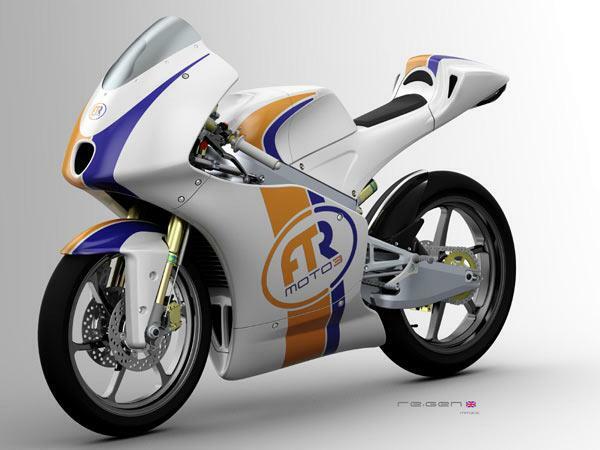 Bones said the target was to have around six to eight bikes using the FTR M311 frame in Moto3 next season and he explained why they have opted to work with the Honda motor. He added: “For us the Honda is a no-brainer. Honda is really behind Moto3, you know the engine will make the horsepower that’s required and it will make it to the end of the race. The Honda engine is the safe choice.